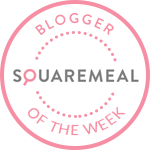 Emily's Recipes and Reviews | UK Food Blog | Leicestershire : carluccio's spinach balls with courgette and chilli penne. carluccio's spinach balls with courgette and chilli penne. Known as Penne Giardiniera, this classic spinach balls recipe is a popular dish on Antonio Carluccio's restaurant menu. Loosely translated as gardner's penne, this pasta delight is packed with a huge portion of spinach and secret courgette in the fresh and spicy sauce. Luckily for us, it can be found in the Carluccio's recipe book too - simply named Pasta. I bought the recipe book for my foodie friend's birthday. And since we both love making homemade pasta, it make sense to make this dish together over a glass of wine on a Friday night. Step one. As you can see, above is a measurement for two hungry people. You simply mix the ingredients together and form into small balls. When you are ready to cook, shallow fry for 5-8 minutes, turning until golden. Tip: I have also made this with finely grated cheddar for a veggie friend - she loved it! ♥ Semolina or polenta, to prevent sticking. Step two. If you'd like to make homemade pasta, follow the tutorial accordingly. If not, just find the best pre-made pasta you can find - and cook around 75g each according to pack instructions. Step three. Cook together the courgette and chill for around 2-3 minutes on a medium heat. Step four. To finish, simply toss the pasta sauce with the penne and top with your lovely spinach balls. So easy and deeeeeeeelicious! For more mouthwatering Italian pasta recipes, you must buy this wonderful book! At the moment it's £20 signed on the Carluccio's website, which would make for a lovely gift. What is your favourite dish on the menu? Have you ever had their famous spinach balls with pasta before? Note: This recipe is entirely property of Carluccio's and I have adapted it for two people. I was not paid to endorse this lovely recipe and all photographs are my own. Spinach is my all time favourite vegetable and I love the sound of these. Some of my favourite ingredients in there. I am most jealous of your excellent pasta making skills also! Wow sounds and looks really delicious. I love spinach so its a great recipe for me. Nom nom - this sounds gorgeous. I love Carluccio's - I'm always tempted by those massive pink meringues they have in there but I think the sugar rush might just be too much! Yum!! This looks like pasta that I could probably manage haha!